How many drops make an ocean? How many pixels until the picture becomes clear? How many licks to the middle of a Tootsie Roll Pop? How many roads must a man walk down, until his legs get tired, weird permeable lesions grow on them, and ultimately he removes them in a fit of sexual pique? Everyone, everywhere has a way of doing things that is unique to them. Our life is lived in the shade of our concerns, and it is a broad umbrella from under which we cannot escape. And in this shade we tend to our mushrooms and our white asparagus, and we figure out how to create, how to do things in this world. We create how we do things as much as we engage in the act of creation itself. And so the dance of how we do what we do informs the finished product. 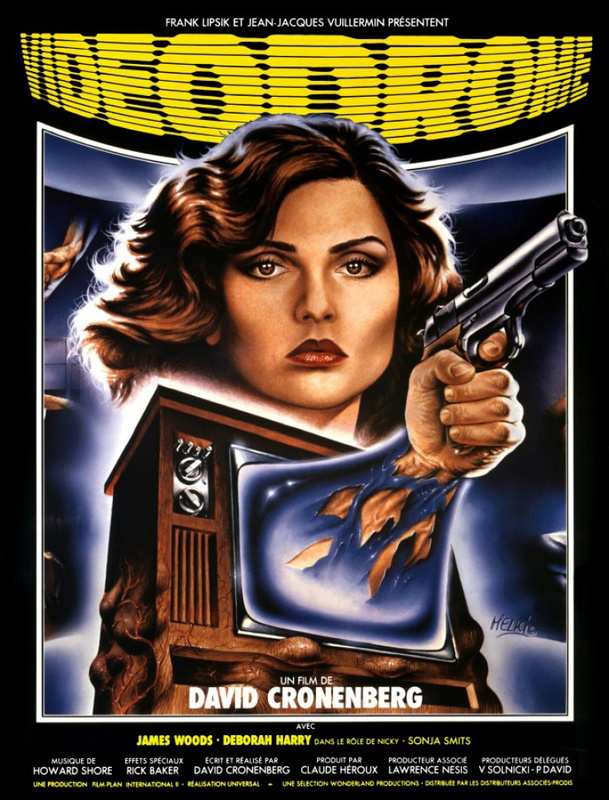 And so we have the grand canon of David Cronenberg. A prolific director, writer, and actor, he is a Canadian Treasure with an international following. And he seems to be endlessly fascinated—and terrified—of the human body. Time and time again it is the body’s fallibility and its unknowability that drive the action. It is Viggo Mortensen’s scrotum, Jeff Goldblum’s fingernails, Julian Sands’ extracurricular activities, Jude Law’s ‘port’, Blondies’ sexual appetites, Christopher Walken’s scars, Jeremy Irons’ gynecological tools, and the list goes on and on, and makes me want to revisit all the this auteur’s work. As I recently watched Videodrome it all came upon me in a rush, like when you are in your first relationship and love songs make sense all of a sudden, or when you finally defocus your eyes and see the 3D picture you’ve been staring at for an hour. After 30 years of talking to David through his films, I finally saw it. I saw the curiosity and the horror that drives him. I saw the malleability of perception and the distrust of a group of bodies with intent (corporations) and how beholden we are to our corporeal impulses, desires, and needs. James Woods is both completely intense and a little removed, as if the sleaze that he broadcasts on his cable network has dulled his nerves a bit. He grows entranced by Videodrome, an after-hours broadcast of snuff films. By today’s standards it looks almost innocent, and we don’t see the culmination (i.e. homicide) of Videodrome. What we do see has more in keeping with ’50 Shades…’ than the gruesome new genre we have in the Saw or Hostel films. As the plot turns to corporate malfeasance I was struck by how unnerved I get when I am in the hands of an unreliable narrator. Once I don’t have the firm grounding of an accepted reality, then I find it hard to care quite as much, for when everything is possible, ambivalence creeps in and sews the seeds of apathy. How visceral can we make Thanksgiving? Countless animals die to feed our outsized appetites, and after gorging our bodies seem to be our worst enemies, and lastly, the holiday is based on our genocide of the Native Americans. Either David Cronenberg or David Lynch should be instated as the Director Laureate of the Holidays. For all the cheer that the holidays can, should, and do instill in us, there is always a dark side. To embrace my dark side this season I think I’ll reach for the dark rum, and not into the gloomy recesses of my lizard mind and frighteningly fragile body. 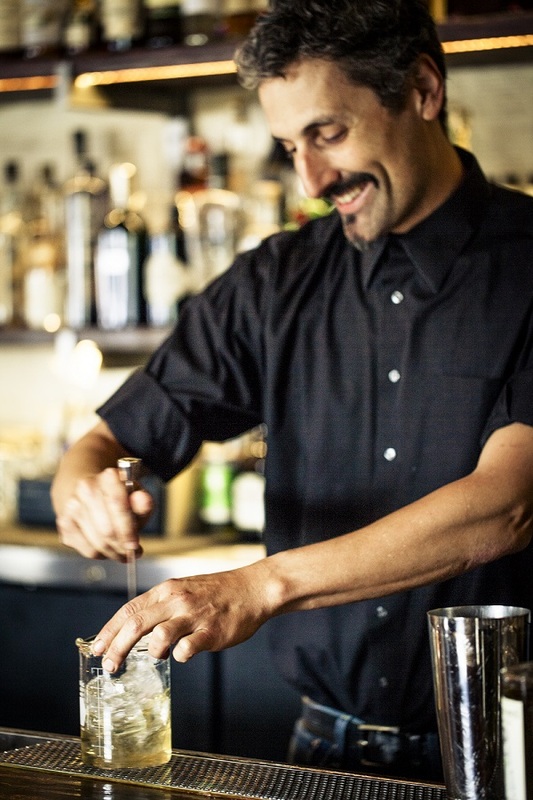 I will fortify this rum with ginger and kaffir, using a technique I have used throughout the years. Pulverizing. 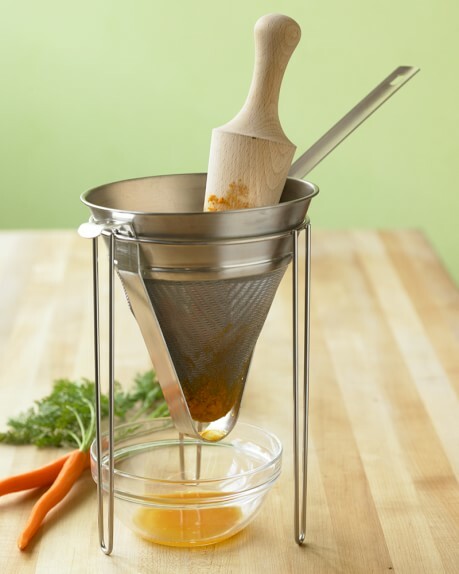 Often it is brute force that combines flavors most efficiently, and makes for a good gift: Vitaprep. To separate the solids from the liquids I use my other workhorse: the chinois. This is a fine mesh strainer, also a good gift, that I find myself reaching for day, night, hour, tide, time, work, play, alone, in company. 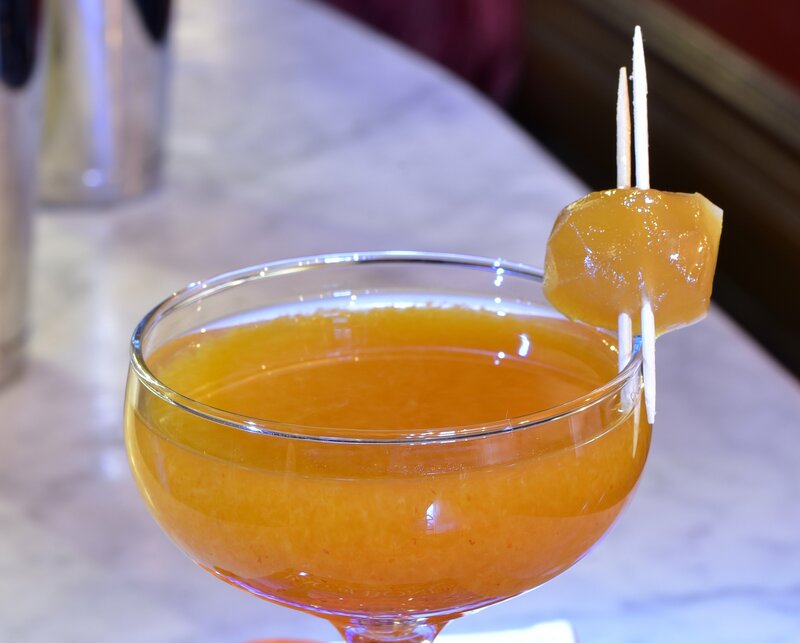 My care has always been to take flavors from solids, combine them with spirits, and then remove the solids… the chinois does this. Allow me to continue down the savory route with my favorite condiment, Sriracha. Brighten with lime, tame and blend with sugar. Prepare to enter the Lion’s Den. My tools are limited. My cast of characters and plots are confined to what fits in my glass. There is almost always sugar, and a striving for balance. I want a cocktail that lets you know what it is all about. In my later years I find that subtlety is an overrated attribute. 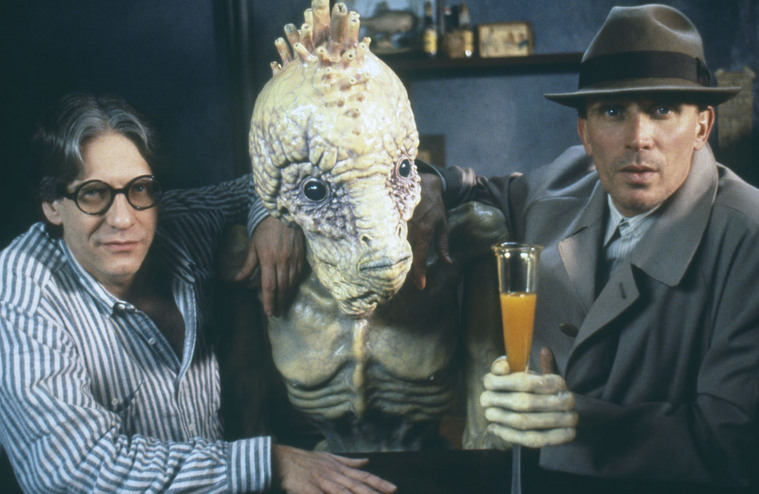 I feel like I could pick the Cronenberg film out of a group of five films, and I hope a cocktail of mine might be so distinguished. Chill coupe. Combine all ingredients in tin with ice. Shake & strain into chilled coupe. Blend rum, kaffir leaves, and ginger together until pureed. Strain through fine mesh and refrigerate. To buy the many films and books by David Cronenberg plus a selection of books about the director go to our Amazon affiliate page. 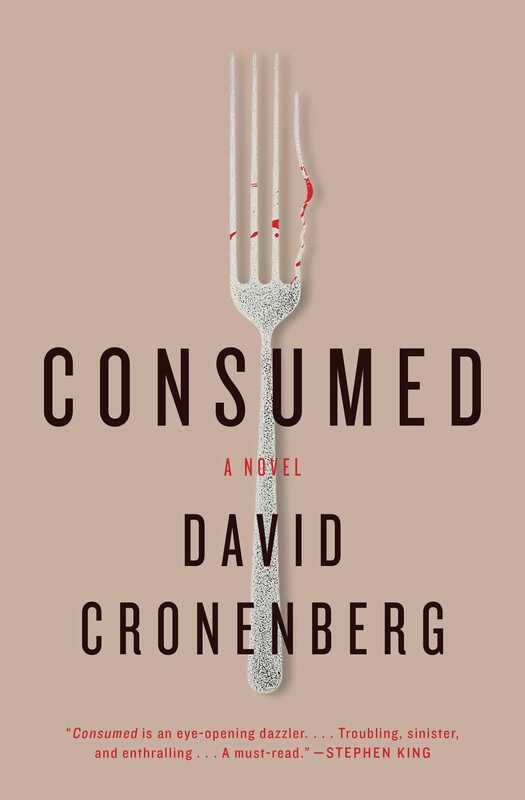 Cronenberg’s new novel, Consumed is now available at your local bookstore or online at Indiebound or Amazon. 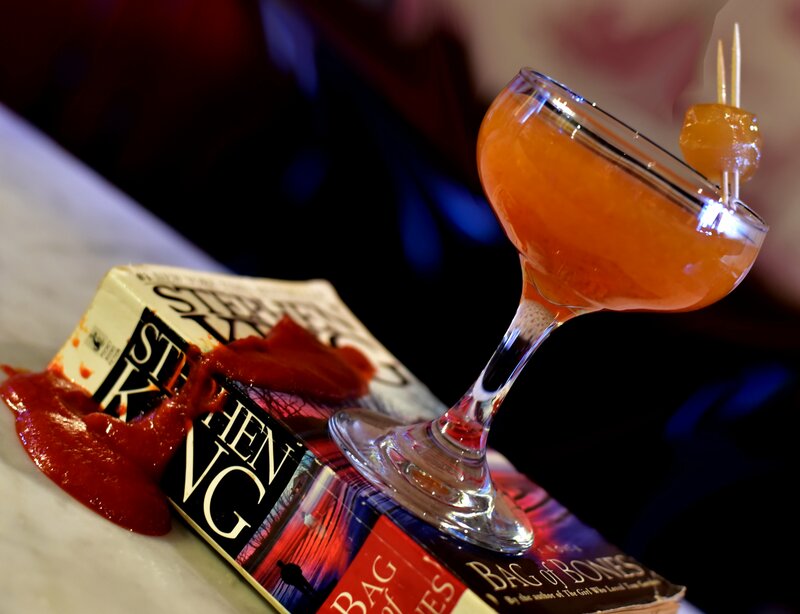 This entry was posted in Columnists, Drink, Drink: Recipes and tagged David Cronenberg, Drink, Michael Cecconi, Shaken & Stirred. Bookmark the permalink.